View More In Plates - Page 2. 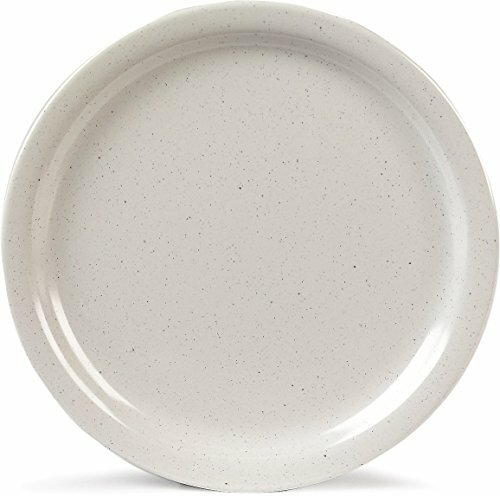 The Carlisle KL20070 Kingline Adobe-colored melamine dinner plate is dishwasher safe, tough enough for use in heavy-duty foodservice applications, and NSF listed. The medium-weight melamine material resists temperatures up to 212 degrees F and has a gloss finish that reduces chipping, scratching, and staining. The overall dimensions are 8.92 x 0.77 inches (diameter x height).